Nowadays all the countries in the world have a perfect defined tax system. Somewhere there are not only the state taxes but also municipal. That’s why Getsocio gives you an opportunity to run your business legally. Sign into your site using your admin account. Go to the "Settings" page in Admin section. 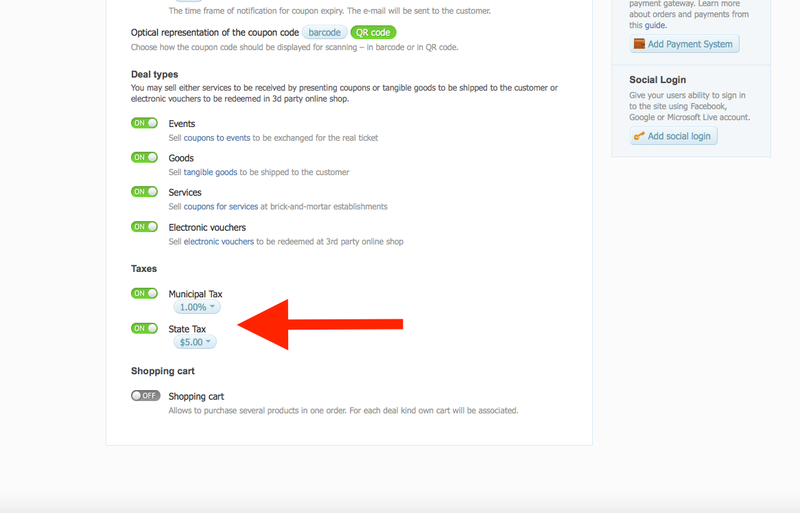 On the "Deals default" tab there is a section “Taxes”. Here you may enable/disable State tax and Municipal tax. It is very easy to change the type of taxes to amount or percentage, to input fixed level based on your state or city legislation. Go to the “Deals” page in Admin section. Press the button “New deal”. There is a right hand menu to edit the deal before posting. Here you may set the taxes as well as in the Variant #1: turn on/off, set the amount and other. 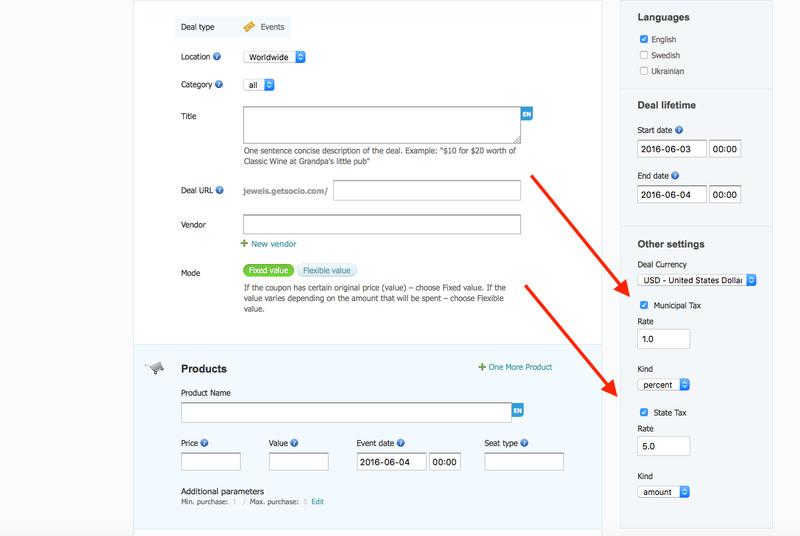 Once you enable the taxes on your site, it will be automatically added to the total price of the order. Nota Bene: we highly recommend contacting your local authority on tax to ensure you are calculating tax properly for you online store.